Throughout the nation, economic and business leaders, and educational scholars are calling for an increase in entrepreneurial education to teach initiative, self-regulation, critical thinking, and life-long learning skills among young people. In 2005, Dennis Littky, co-founder of The Met schools, was introduced to Bill Daugherty, an entrepreneur who successfully built and sold an online search and media company. Littky had been searching for a way to incorporate entrepreneurship into The Met’s curriculum and Daugherty was looking for a way give back. Daugherty, who was also affiliated with the Network for Teaching Entrepreneurship (NFTE), was the perfect choice to bring entrepreneurship into The Met curriculum. Daugherty designed Entrepreneurship 360, a program of study to give students a 360 degree look at business in its early stages, and he teaches two mornings a week. He currently serves as the Center’s Entrepreneur in Residence. Daugherty is also CEO of Daugherty Management & Investment (DMI). He currently serves on the boards of Connect EDU, Tickets for Charity, Point 3 Basketball, and Mission Critical Wireless. Prior to launching DMI, Daugherty founded and served as co-CEO of Interactive Search Holdings, Inc. (ISH) until the company was sold to Ask Jeeves in May, 2004. Prior to starting ISH, Daugherty served as Senior Vice President of Business Development for the National Basketball Association where he worked from 1991-1999. He also served as the Managing Director of the NBA Consumer Products Division. Daugherty received an MBA from the Harvard Business School (1991) and a BBA from the University of Georgia (1985). A search ensued for a Director of the Center for Entrepreneurship (the E Center) and was successfully completed when Jodie Woodruff was hired as the full-time Director. Woodruff spearheaded the new facility from concept to creation. She collaborated with Brown University, the Community College of Rhode Island, local entrepreneurs and businesses, and the Network for Teaching Entrepreneurship (NFTE) to bring relevant and rigorous programs to her students. Woodruff has a background in special education, school administration, and also works as a consultant and coach for the Big Picture Learning schools throughout the U.S. and the Netherlands. She has been involved with start-ups and entrepreneurial education for over twenty years. She is a passionate educator as well as co-owner of Spa Mosaic, New England’s largest AVEDA Day Spa in Wakefield, RI. Since its inception, the E 360 program worked in borrowed space - 740 square feet in the corner of the Arts & Media building. The program’s popularity and success made it necessary to expand its size and find new space. 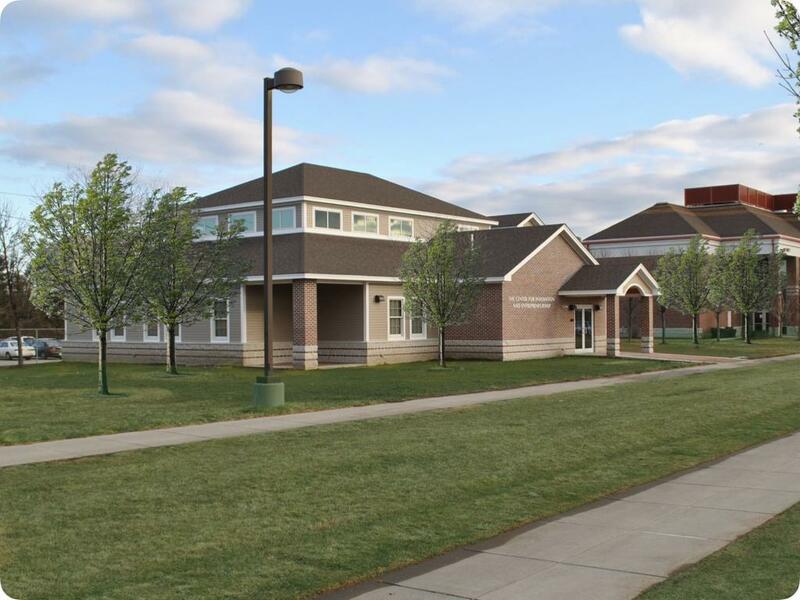 In 2001, The Met financed the construction of its South Providence campus through a bond issue. While 4 buildings were completed on campus, Littky held aside $1 million in the hope of eventually creating a space for entrepreneurs. With the growth and success of the E 360 program, that dream became a reality. In 2010, construction began on a 3,600 square foot building which opened in January 2012. The space includes 8 student workrooms, 2 offices, a large conference room, a gallery, and incubator space. It is the only stand-alone entrepreneurship center in the country for high school students. On May 10, 2012, the Grand Opening of The Met’s Center for Innovation and Entrepreneurship was held with over 250 attendees and the designation of May 10 as Young Entrepreneurs’ Day. Scott Case, CEO of the Startup America Partnership, an Obama initiative targeting entrepreneurs, was the guest speaker.